Tips To Get Your Ex Back - Don't force it! Tips To Get Your Ex Back – Don’t force it! 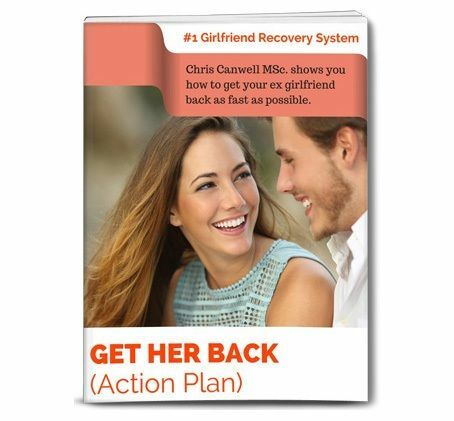 Do you want the truth – the real truth on how to get your ex back? You can’t make your ex come back. Did you hear that – you cannot make your ex come back. You can influence your ex to see that you’re someone great to be with, but you can’t force the situation or it will probably backfire and be worse than it was. Work on yourself and get on with your life. Become strong again and get to know who you are, what you actually want out of life, and out of a relationship. You have to be patient as you wait for your ex. Take things one-step at a time. Be willing to wait and let things happen. You do your part and if it’s meant to be, things will work back together again. How will you survive and how long will it take? Seriously, first you really need to think about it and consider if you want your ex back. You have some time to re-evaluate your relationship and see what went wrong and what you need to do to make it better. Yes, no doubt your partner needs to make some changes, but look at yourself and what you want as well. If they don’t change, do you really want them back? Do you feel the pain? Of course you do. If you didn’t, then this would definitely not be a relationship that’s worth pursuing. If you love someone, it’s going to hurt when things don’t work out. Are you ready to put effort into your relationship? Is your ex worth crying over? Is your life suddenly better, or do you feel an agony deep within? Have you gotten over the misery that your ex left you in? If you want your ex back, you cannot be in fits of depression over what happened. Get over it and begin to move on. And besides, if you look like your not all dejected over your ex leaving you, you might see a bit of jealousy grow in your ex that you got over him or her so easily. Jealousy can breed contempt, but it can also grow a longing to have what was lost. Don’t sit at home; get out and begin to live again. It will give you a fresh outlook on life, and it will give your ex a new look at you. Maybe you just won’t look so bad after all! If you have to force yourself to ‘get on with things’, then do it. The more you do it, the easier it will become. You want to show that you’ve learned from the relationship and from breaking up, and that you can still live a great life. Your actions will speak a lot more than your words. Have an outlook for the future. Show that you have faith and optimism and that the past is in the past. Show that you are ready and willing to move on from being an ex, to being a couple once again. When you’re together with your ex, don’t push to go back to the way you were. Be friendly, but be casual. If you push things, the problems that caused you to break-up may creep back in. The more friendly and casual you are, the more your ex might reconsider your relationship. This could be a winning situation for you, so be patient. As you move into stealth mode in trying to get your ex back, do not bring up anything that caused you to break up in the first place. Be quiet about it, because if you want your ex back, then you are going to have to get over all the angry details. You know what they say, live and let live. Do you want your ex back and your relationship to grow again, then let things be. You want good memories, not bad memories. Speaking of memories, one of your biggest allies may be any of your ex’s relatives that you’ve met. Nothing speaks stronger than a mother, sister, or aunt saying how much they liked you and telling the good stories about you. ← Can You Really Get Your Ex Back by ‘No Contact’? How To Get Your Ex Back … Or Not!